Common Car brakes problems consist of squealing, squeaking or grinding. It can point out a problem with your vehicle’s brakes that needs be addressed soon before they have brake failure. You should pay attention if your if your steering wheel is shaking or brakes pedal feels spongy. 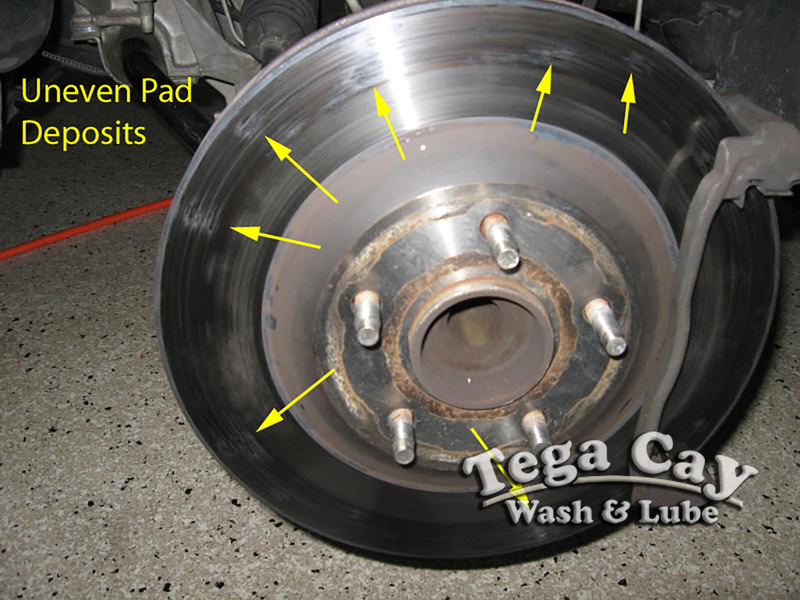 If you’ve observed any of these signs of brake problems, bring your car into Tega Cay Wash & Lube (NAPA AutoCare Center) near Fort Mill. For us to check your brakes, come to Tega Cay Wash & Lube (NAPA AutoCare Center) near Fort Mill, Lake Wylie, SC Steele Creek NC. We have the best and fastest brake repair shop with auto service professionals that will inspect your vehicle’s for brake problems for free. Most brake manufacturers have a warning sensor that will produce a squealing noise when brake pads are wearing to the point they need to be replaced. Extreme temperatures or humidity can also make sounds of brakes squeaking. At our Brake Shop our auto service mechanics and professionals can inspect why your brakes are squeaking and repair the problem. We use high quality brake pad for replacements of your brake pads for cars and trucks. Are your car brakes making a grinding noise? Grinding car brakes are a sign the brake pads have been worn down, which is probably grinding against the metal of the vehicles brake rotors. This should be handled with an inspection and a brake service real soon. If this goes unmonitored, you may have to replace brake rotors, brake drums, or other car brake parts that can become damaged. Worn brakes can also cause a shaky steering wheel that can signify your brake rotors have become worn or warped. 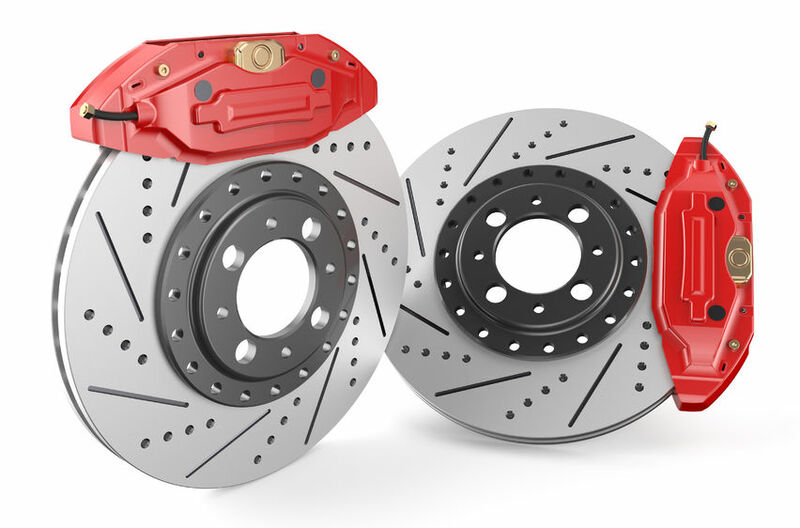 Brake rotors, that are exposed to serious heat, wear out and need to be replaced or resurfaced. Tega Cay Wash & Lube (NAPA AutoCare Center) near Fort Mill and Lake Wylie, South Carolina has Auto Service mechanics and professionals that inspect your brake rotors during a free brake check and inspection. When pressing down on the brake pedal, is it spongy? Sometimes spongy brakes indicate there is air in your brake fluid. Your brake fluid may need to be bled to remove air from the brake lines. A brake fluid exchange may also repair a soft brake pedal issue. Our brake shop and auto service mechanics can discover the issue of your braking problem during a Tega Cay Wash & Lube (NAPA AutoCare Center) free brake check and inspection. Let our experts mechanics diagnose why your brakes are squealing, grinding or exhibiting any other signs of a brake issues. We’re open six days a week and no appointments are necessary. Come into your local Pennzoil- NAPA Auto Care Center brake shop today. is done fast & with quality. Pennzoil – Tega Cay Wash & Lube ( NAPA AutoCare Center) has the best brake shop near Fort Mill & Lake Wylie, South Carolina and takes pride in our brake service and auto repair. Our express brake service will leave you happy and satisfied. Call now and save on monthly discounts and coupons. We are BBB accredited with an A+ rating and have 5 star rating with the Better Business Bureau. There is no need to search brake place near me, around me, close to me or nearby me any longer. We are located near , Indian land, Fort Mill, Lake Wylie, Rock Hill, Lancaster, Steel Creek, South Charlotte and Ballantyne areas.